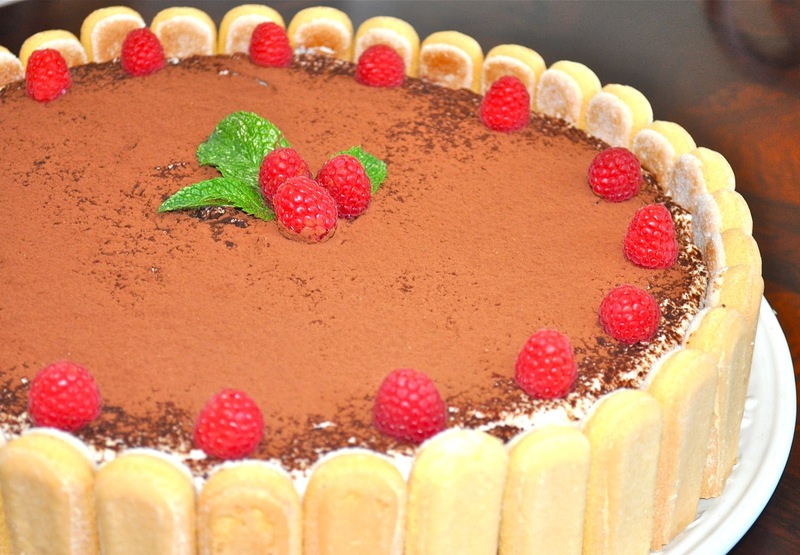 Tiramisu is an Italian layered dessert consisting of coffee soaked ladyfingers and sweet mascarpone cream and dusted off with cocoa or shredded chocolate. This dessert can be prepared in several ways. 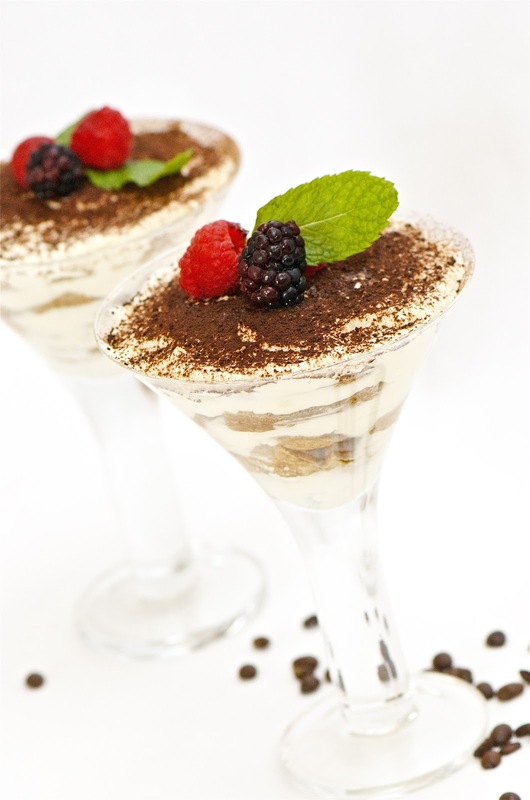 It can be prepared in small glass verrines,wine glasses,ramekins,or martini glasses for individual serving.For a bigger crowd you can make it as a trifle cake or just make 2-3 layers in shallow glass dish. 1/2 cup kahlua,brandy,marsala wine, or cognac. Combine espresso with liquor or wine. Beat egg whites with pinch of salt and 3 tablespoons of sugar. In another bowl beat egg yolks with 3 tablespoons of sugar. Add the mascorpone cheese to egg yolks and beat until there is no lumps. Beat heavy cream with powdered sugar and vanilla in a separate bowl. Fold in egg whites and whipped cream into egg yolk mixture. Dip ladyfingers in espresso mixture. Arrange soaked layfingers in a single layer. 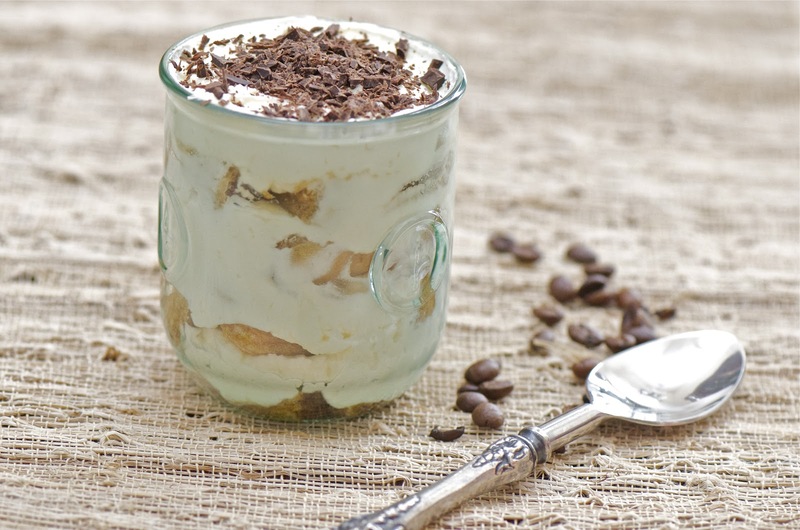 Spread cream over layered ladyfingers. Sprinkle chocolate or cocoa on top.